Cinco de Mayo is the celebration of the victory of a small Mexican town called Zaragoza. The French came guns a blazing, and the pueblito beat them with 4,000 soldiers as compared to the French’s 8,000. Many people confuse Cinco De Mayo with September 16th, which is the Mexican independence day. In class Senora Justice came to teach us about Cinco De Mayo and the traditions associated with it. We made sopapillas, a South American fried bread dipped in honey and cinnamon. They are a staple in many Hispanic holidays. They were so tempting that the French class decided to join us. We also danced traditional Mexican baile, Jarabe Tapatio, with help from Senora Justice, as well as a youtube video. Cinco de Mayo es una celebración de la victoria de un pueblito que se llama Zaragoza. Los Francés vinieron con sus armas, y el pueblito ganó contra ellos con 4,000 soldados contra los 8,000 soldados de Francés. Hay muchas personas que se confunden Cinco de Mayo con el día de la independecia de Mexico, que es el 16 de Septiembre. En la clase, Señora Justice vino a la clase para enseñarnos sobre las celebraciones de Cinco de Mayo. Hicimos sopaipillas, que es un pan frito con miel y canela. Son una parte grande en muchos festividades hispánicos. Eran tan buenas que los estudiantes de la clase de Francés vinieron para únete a nosotros. También bailamos un baile tradicional de México, el Jarabe Tapatío, con un poco de ayuda de Señora Justice y un video de Youtube. After tackling some serious and intimate pieces over the past two years, the theatre team decided to do an afternoon of one-acts for this year’s performance, and once again they did not disappoint. They brilliantly balanced 3 different plays perfectly, shifting from humor to a more serious tone, and then closing with a light-hearted tone that made those in the audience smile. Ms. Molly Nielsen and Ms. Iris Kolodji mentored and supported this young secondary team as they followed their voices, and had a very positive experience. There was hard work put in by the people behind the stage, in the booth, and the ones in the light on the stage; on behalf of the spectators, we’d like to thank you for your dedication to theatre. Thanks for an afternoon of One-Acts! Move over Shakespeare, the SLAM poets of Lincoln School spoke the truth as they completely owned the stage at the Globe Theatre, where it was standing room only. These secondary students moved the crowd to laughter and to tears as they tackled passions, personal stories, and social injustices that they have seen throughout the world. Ms. Deborah Somerville and the Poetry Forum orchestrated an event that had at least one poet from all grades 6-12 participate in front of the Snow Leopard red curtain and all of them were beyond fantastic. Thank you, poets, for sharing. AMMAN, Jordan. — This year SAISA Track and Field was exceptionally strong. We took 28 athletes with us to Jordan, up from only 15 athletes last year! Our team broke eleven school records including both the 4×100 and the 4×400 relay records for the Girls 13-14. 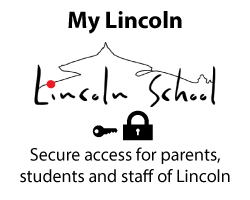 The Lincoln team frequently found themselves on the podium, especially the Girls 10-12 and the Girls 13-14. They were Champions and runners-up respectively. Our team worked hard during practice, and we persevered through all the difficult sets our coaches put us through. This persistence and determination led us to perform incredibly during the tournament. Our coaches supported us mentally and physically before our races and helped us to reflect on our races after. We then visited the Dead Sea, which was another experience none of us will ever forget. All in all, it was a great Track meet, and a successful end to SAISA for another year. Looking forward to running away with it next year! Friday morning was all sunshine and rainbows in the Globe Theatre, as the young Snow Leopard cubs shined as bright as their rendition of “Twinkle Twinkle.” The crowd, “had their hands up waving like they just don’t care,” as the Elementary sang an array of songs from southern roots, Dolly Parton to T-Sizzlin, Taylor Swift, to some original ballads that captured us all. Iris Kolodji had her team ready, and they definitely played their “fight song!” Thanks for for putting the “Fabulous” in Friday. Grade One and Grade Five at their collaborative best. About animals or food with our rhyme scheme stressed. With the help of a friend, our creative juices flow. Seeing the world as an artist, the new status quo. KATHMANDU, Nepal. — The 3rd Annual Lincoln School Aquathon was a real blast with over 20 participants including young children (aged 4 and up), SAISA swimming and track stars, flying fit faculty members and willing parents. We are yet to ascertain exactly how much we raised during the fundraiser, but in the last two years we have raised around $1000 each event. The proceeds from the Aquathon have gone to our service-learning initiatives like PLUM (Please Learn & Understand Menstruation) and Project Thrive, which has focused on the solar electrification of schools in Sindupalchowk. A special thank you to all the participants and we hope there will be more of you next year! 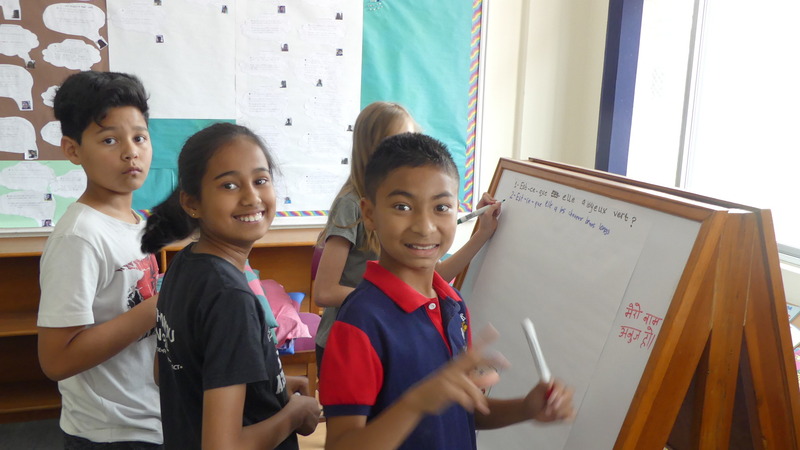 Recently, Alliance Française visited Lincoln School to offer an activity to the French language students from grades 3, 4 and 5. Activities included conversation opportunities and a variety of games such as “Qui est-ce?” (“Guess who?”). To play, students worked in groups of 3 to 5 to listen and ask clues in French then identify the hidden character. All the students enjoyed participating, and it was a productive collaboration between Lincoln and Alliance Française. MUSCAT, Oman. — From playing basketball at lunch to talking with friends about practice before it even starts, basketball players from middle and high school were itching to get to practice and kickoff the season. Once the season started, the boys arrived at practice eager to play, as well as show and develop their skills. Right at the beginning of the season, the team played in the local NISSA tournament. Because of the large number of returning players and ever improving skills, the boys went undefeated through league play, and won their semi-final and final games to convincingly win the NISSA title for the third consecutive year. Ready to buckle down for SAISA after the NISSA tournament, the boys and coaches got to work. Time flew by with the boys practicing four times a week and even hosting optional practices over the breaks we had during the season. With this season being the shortest, the coaches and boys really needed the extra time to try to build chemistry and synergy as a team. The final week of practice came around and the team was ready for the tournament. 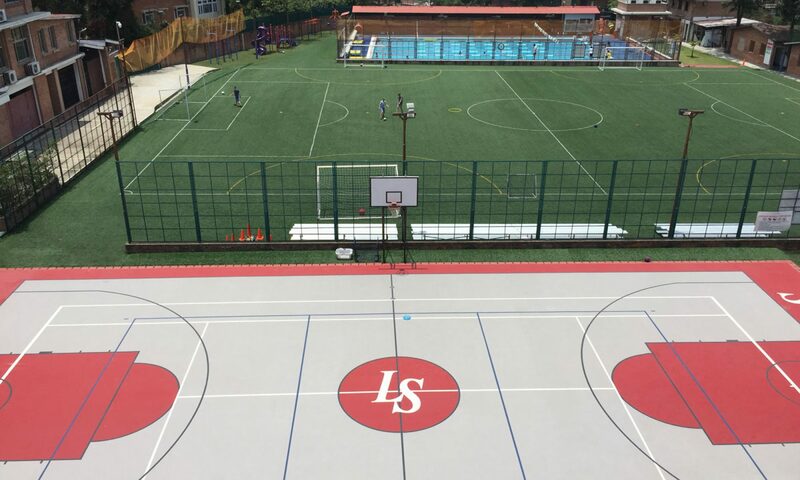 The first day of the SAISA tournament in Oman started out explosively for the Lincoln Leopards, with the first two games ending in two wins against Lahore American School and the host school, The American International School of Muscat. The team was excited about the result of the first day and was determined to build on their positive start. The next day, the team had to compete in three games. The first game ended in a tough loss to the team from Bombay. The second game ended in a win for the boys against the combined team of Islamabad and MCS. The third and most important game of the day took place that afternoon. The quarterfinals. 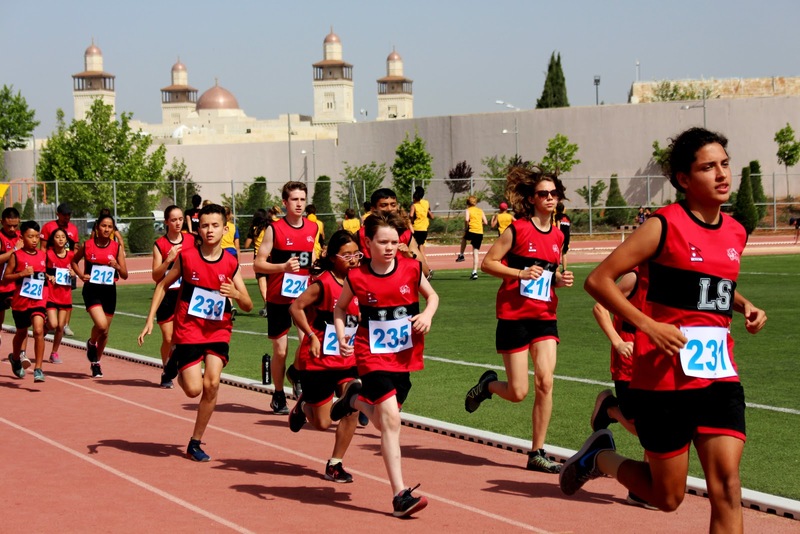 This game was against the American Community School of Amman. The game started out slowly, but the team gained momentum in the later quarters and came close to tying the game up and pulling ahead. But unfortunately, Jordan kept Lincoln at bay and we were not able to pull off the win. Unfortunately for the team, this meant the boys were out of contention for the championship title. This put a damper on the rest of the tournament, but the boys still put up a good fight on the last day and won one of their last two games. This tournament was a success in that the team learned much from the challenges the tournament presented. While the competition was tough, the team reflected on their strengths and areas for improvement, and grew together through this shared experience. We are all excited to continue developing individually and collectively so that we can take our play to a new level next year! bchettri on 6th Grade Slime Song!